Home / brand new / FREEMAN / música / video premiere / FREEMAN Unveils New Single "Redemption"
FREEMAN Unveils New Single "Redemption"
West London based singer-songwriter FREEMAN has unveiled his brand new single Redemption, out now on Catapult Records. 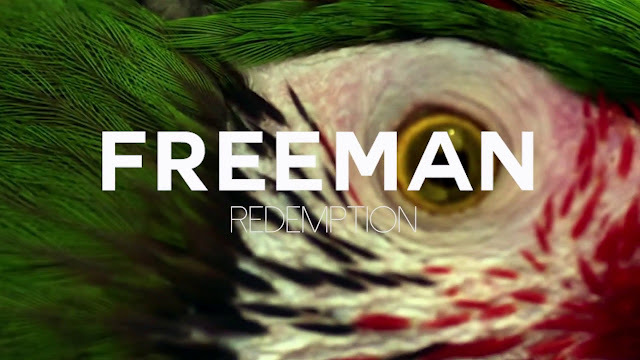 Redemption finds the singer in reflective mode and is heartfelt, infectious and uplifting indie pop at it’s very best. Recorded at Eastcote Studios in Kensal Rise with Jamie Brown and engineer Andy Hughes, the new single is another indication of what to expect from the singer’s forthcoming debut album ‘Truth’ which is set for release in the Spring. I'm loving this guitar-based track and his smooth vocals. A very smooth track with a stunning video that you can watch below! The multi - talented FREEMAN first picked up a guitar when he was a Rolling Stones obsessed teenager living in Cuba. Taking inspiration from other ‘70’s icons such as Neil Young, Bob Dylan, Bob Marley, Fleetwood Mac, Love, Bill Withers, America and Al Stewart he set up crafting his own take on those sounds in an analogue studio, playing live and recording to tape. A truly warm and distinctive voice, he creates songs that recall the starkness, beauty and tenderness of singers such as Jeff Buckley, Scott Matthews, Laura Marling and Devendra Banhart. FREEMAN is set to play a special live show at the Mau Mau Bar in London on May 12th.